Takers of the Electronics Engineer Licensure Examination for the month of April 2013, can now be seen to this post the official exam result. A total of 1,177 passers out of 3,163 examinees of Electronics Engineer board exam and 466 passers out of 1,146 examinees of the Electronics Technician board exam. Professional Regulation Commission officially published the exam results and we listed below. Last year, PRC released a total of 2,508 passers out of 4,863 examinees of October 2012 Electronics Engineer. 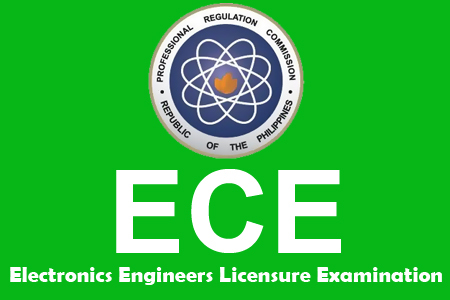 The Board of Electronic Engineering conduct this licensure examination twice a year every month of April and October, and will be given to the cities of Manila, Baguio and Cebu. Usually, PRC released the results in three (3) working day after the last day of examination. If you see this post very informative, please click Share buttons after the title. And do visit this site more often as we will update the April 2013 Electronics Engineer ECE Board Exam Results. Comments or suggestions about "April 2013 Electronics Engineer Board Exam Results - ECE Board Passers April 2013" is important to us, you may share it by using the comment box below.